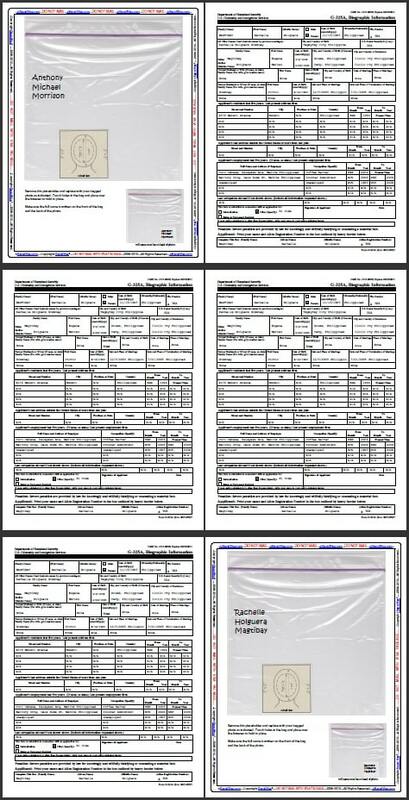 Fully completed form I-129F, ready for your signature. 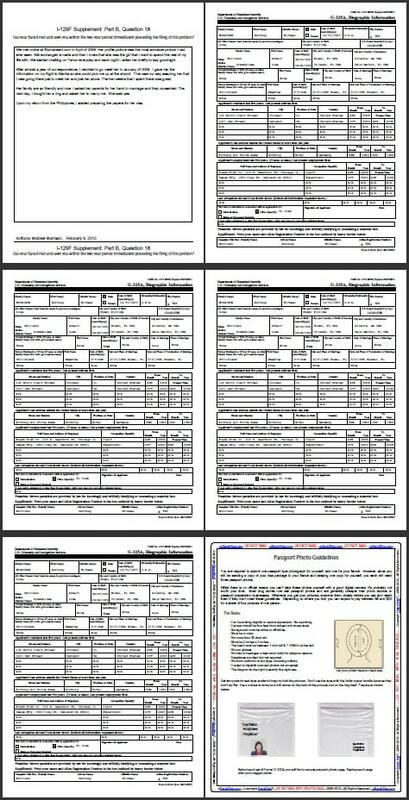 Fully completed form G-325A for the sponsor, ready for your signature. Fully completed form G-325A for the beneficiary, ready for signature. Fully completed form G-1145, E-Notification of Application/Petition. Fully completed Supplemental attachment listing sponsor’s previous marriages. Fully completed Supplemental attachment listing beneficiaries previous marriages. Fully completed Supplemental attachment listing any previous names sponsor has used, if applicable. Fully completed Supplemental attachment listing any previous names beneficiary has used, if applicable. Fully completed Supplemental attachment listing up to 5 children to be included for a K-2 visa. Fully completed, professionally worded letter from sponsor, indicating intent to marry (Sponsor’s Letter of Intent). Fully completed, professionally worded letter from beneficiary, indicating intent to marry (Alien’s Letter of Intent). Fully completed, Supplemental attachment explaining how you met your beneficiary. Professional Cover Letter, including Table of Contents, specifically written for your situation. Fully completed Form I-134, Affidavit of Support (for the interview stage). 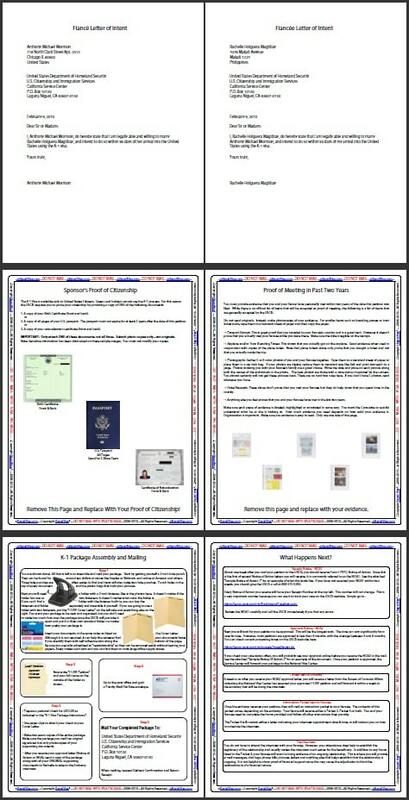 Fully completed Form DS-160, Non-immigrant Visa Application (for the interview stage). Detailed instructions and examples for your photo submissions. Detailed instructions and examples of the supporting documents, customized specifically for your situation. Detailed assembly and mailing instructions, tailored to your specific circumstances. Timeline of what happens after you file and when you should expect to hear from the USCIS. Instructions for checking your petition status online. 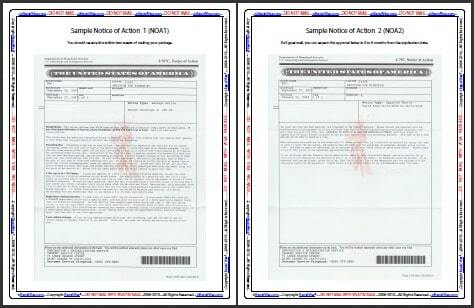 Sample Form I-797, Notice of Action showing what you receive when the USCIS accepts your petition (NOA1). 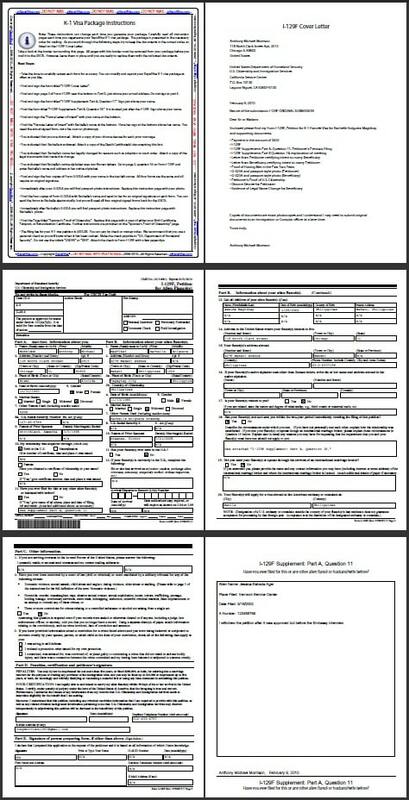 Sample Form I-797, Notice of Action showing what you receive when the USCIS approves your petition (NOA2). Modify and reprint your package as many times as you like. Your petition presented in a single PDF file, 23-26 pages long, depending your situation. Access to your account 24 hours a day, from anywhere in the world. All of your data is protected by unbreakable 256 bit encryption. Unlimited telephone support 7 days a week. Unlimited email support 7 days a week. Unlimited chat support 7 days a week.